On February 17, Dr. Eda Derhemi delivered a lecture entitled "Albanian diasporas in Italy and Greece: A Blessing and a Curse for the Albanian Immigrants after 1990" as part of the EUC's Jean Monnet Module course, Europe and the Mediterranean: Transnational Spaces and Integration. You can watch her full lecture below or by clicking here. Eda Derhemi is an Adjunct Assistant Professor of Media and Cinema Studies and a Lecturer of Spanish, Italian, and Portuguese at the University of Illinois, Urbana-Champaign. Her research interests include linguistic endangerment and language death, minority languages and ethnicity, and language of the media and propaganda. 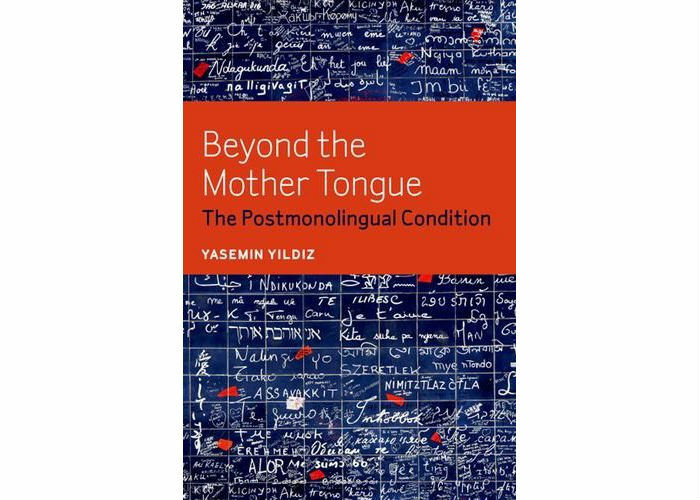 Beyond the Mother Tongue: The Postmonolingual Condition is a recent book by Yasemin Yildiz, Assistant Professor of Germanic Languages and Literatures and EUC-affiliated faculty member at UIUC. The book is published by Fordham University Press. Check out the synopsis below and an article about the book from the Huffington Post. Monolingualism—the idea that having just one language is the norm—is only a recent invention, dating to late-eighteenth-century Europe. Yet it has become a dominant, if overlooked, structuring principle of modernity. According to this monolingual paradigm, individuals are imagined to be able to think and feel properly only in one language, while multiple languages are seen as a threat to the cohesion of individuals and communities, institutions and disciplines. As a result of this view, writing in anything but one's "mother tongue" has come to be seen as an aberration. Beyond the Mother Tongue demonstrates the impact of this monolingual paradigm on literature and culture but also charts incipient moves beyond it. 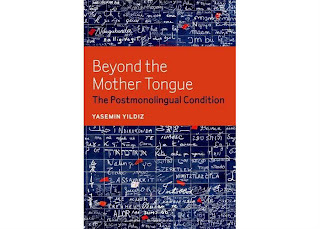 Because newer multilingual forms and practices exist in tension with the paradigm, which alternately obscures, pathologizes, or exoticizes them, this book argues that they can best be understood as "postmonolingual" that is, as marked by the continuing force of monolingualism. Focused on canonical and minority writers working in German in the twentieth century, Beyond the Mother Tongue examines distinct forms of multilingualism, such as writing in one socially unsanctioned "mother tongue" about another language (Franz Kafka); mobilizing words of foreign derivation as part of a multilingual constellation within one language (Theodor W. Adorno); producing an oeuvre in two separate languages simultaneously (Yoko Tawada); writing by literally translating from the "mother tongue" into another language (Emine Sevgi); and mixing different languages, codes, and registers within one text (Feridun Zaimoglu). Through these analyses, Beyond the Mother Tongue suggests that the dimensions of gender, kinship, and affect encoded in the "mother tongue" are crucial to the persistence of monolingualism and the challenge of multilingualism. On February 8, Dr. Emanuel Rota delivered a lecture entitled "The Mediterranean: Colonial and Post-Colonial Identities" as part of the EUC's Jean Monnet Module course, Europe and the Mediterranean: Transnational Spaces and Integration. You can watch his full lecture below or by clicking here.